Comic books and gambling have pretty much always gone hat in hand. The most prime example of this long-lasting connection today is seen in the series of comic book slots that can be found in many online casinos. However, that said, the lines between the two weren’t always as blurred. Before they became so closely intertwined, the world of comic books and gambling had a relationship that begun as a vessel for delivering morality and slowly evolved into a full scale love affair. 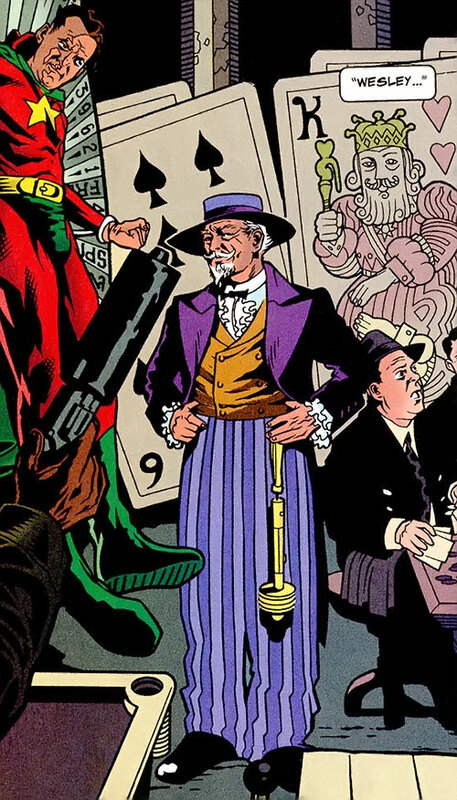 If you want to know more about the story, here, check out our breakdown of the history of gambling in comic books. Or alternatively, if you want to find out more about where to try those comic book slots, you have Go Wild reviewed here, or dozens of other casinos a few taps away. 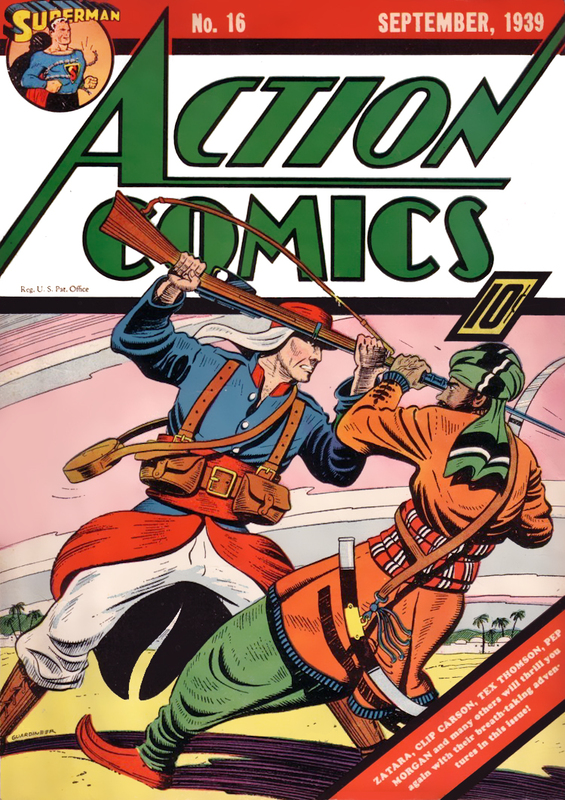 One of the earliest examples of gambling in comic books can be seen in Action Comics #16, Volume 1, circa 1939, in a tale called "Superman and the Numbers Racket". This classically charming comic book starts with Superman flying around town looking for someone in need of help. While roaming around, he spots a guy that tries to hang himself. So true to his nature, Superman courageously saves the day by talking the man round. But what’s interesting to note about this adventure is that the man bothers Superman so much, that he spends the remainder of his day pondering why he needed to be rescued. He then concludes that the guy must have been a decent “chap” before he was “snared” by gambling. This, in turn, leads Superman to go on a one-man war against all gambling syndicates in Metropolis. Two years later this gambling-leads-to-suicide story-line was repeated in another issue, entitled “The Gambling Racket in Metropolis”, for exactly the same purpose -- to warn kids about the ugly face of gambling. But while tragic side-characters are interesting enough, what’s even better is the comic book attitude towards gambling villains. 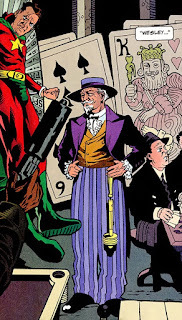 Two of the most famous gambling villains in the early days were the Green Lantern Alan Scott bad-guy, The Gambler, as well as Batman’s very own, Harvey Dent, AKA Two Face. The Gambler (real name, Steven Sharpe III) is famous for being plagued by gambling so much that even his death was the result of a failed card game. Needless to say, the Gambler’s story was nothing short of being a clear example of the negative effects of gambling. Even DC’s most famous gambler of all, Harvey Dent, was completely shunned aside during this period for not being very “kid friendly”. Despite being introduced in the early 40s, he wasn’t given much spotlight until the liberating 60s came along, which now leads us to our next part of comic book history. Once comic books survived the backlash of parents, teachers, including other people in authority, the Silver Age of comics came into play, bringing along to the scene a new touch of reality and realism. With Marvel now leading the way, comic book characters became more realistic, carrying flaws, fears, and demons that were explored at great lengths. This new freedom opened the doors for bringing a different class of super-villain onto the printed page, super-villains that conceptually weren’t so flat. And with the arrival of the Bronze Era, some of the most famous gambling villains were finally born. 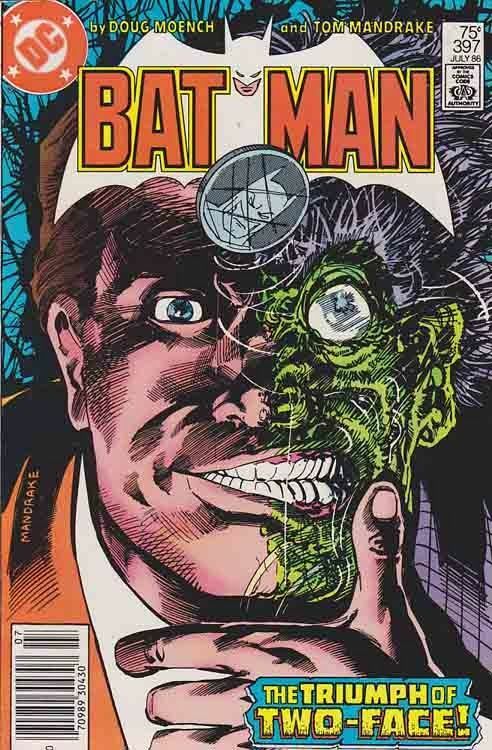 First of all, you had, surprise-surprise, Harvey Dent's return to the scene. After being cast aside, with only one minor appearance, for nearly 20 years, the character returned in full glory in 1971. It is also about this time that he became one of Batman’s biggest enemies. Another notable example is Spiderman’s long-forgotten enemy, Nicholas Powell a.k.a. Chance. Where Dent took on to making 50-50 bets after turning evil, Chance started off as a professional gambler and then turned into villainy. No longer being able to get his kicks from high stake bets, Chance took bets on his missions as a Hitman. If he succeeded, he got paid. If not, he lost the bet. Unlike the previous eras when gambling was seen as this one-dimensional flaw, during this period it became yet another layer of a character’s complex persona. In these comics you won’t see a hero bluntly blaming their tragic fate on gambling. No. Here gambling is only a vent for a much deeper and intricate problem that drives the character to villainy. And once comic book writers were free to explore the psychological depths of their characters, and not shy away from their dark flaws, there came the Modern Era of comics. This era brought the best examples of gamblers in comic book history, some of which you couldn’t stop yourself from liking. The most notable specimen is Gambit, who came on the comic books scene in the 1990s. In case you’ve been living under a rock, in a cave, on the moon, Gambit is the extremely skilled card-loving antihero which will make you want to go back to practicing your card tricks. 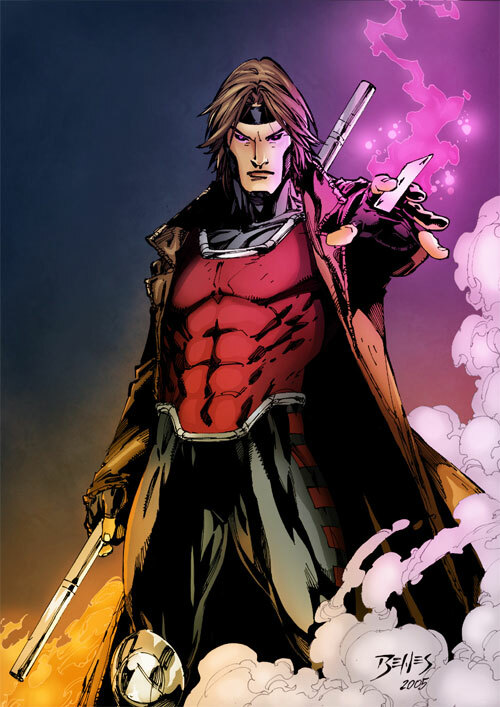 Suave, extremely talented, and quite the lady’s man, Gambit is everything you want to be when you hit a Vegas casino. Another character worth mentioning is Roulette, who, coincidentally, came on the scene around the same time the first online casinos were launched. 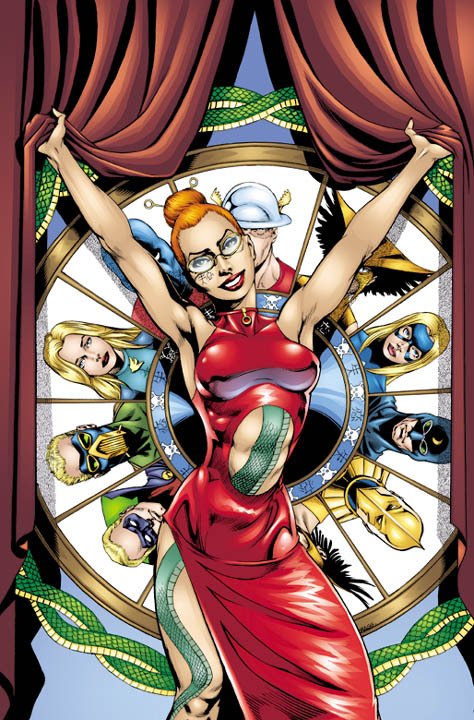 If you don’t know her, she is a DC villain who runs a casino called “The House”, where villains can bet on the outcomes of death matches between captured superheroes. Talk about extreme gambling, right? 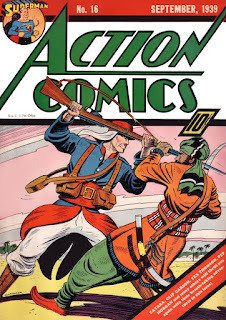 The rest, as they say, is history, comic book history, as in the upcoming years, more gambling found its way into comic books and even film adaptations. Ultimately, it even led to the creation of licensed slot games like the Dark Knight Rises and Iron Man 3.